Protection and sovereignty of Slovak airspace and close air support to land forces will be delivered by US F-16 Block 70/72 fighter jets. This follows from todayʼs decision by the Slovak Security Council and the Cabinet. From a modernization perspective, this is the most extensive modernization programme in the history of the SVK Armed Forces. SVK Minister of Defence Peter Gajdoš stated: “Based on detailed analyses we have chosen the best solution, because these jets are modern and state of the art. From the perspective of price, quality and capabilities and what we can afford as a country, they have no rival.” The Minister thanked the US and Swedish Governments for their fair bids and negotiations. From the perspective of all parameters of the bids, the US bid was more advantageous for Slovakia. In this connection, the MOD has refused the speculation that the reason for selecting the US F-16 Block 70/72 are later deliveries, which will allow the MOD to prolong the SVK military’s dependence on Russian equipment. “While the contract with the US Government is ready to be signed, the Swedish Government insisted on negotiating details only once the SVK Government has made the decision, whereas in both cases the date of delivery depends on the date of contract signature,” explained Head of the Defence Department. Moreover, if the Swedish bid had been accepted, some material would have had to be delivered by a third party, thus delaying the delivery. In considering all parameters of the bids, the US bid was evaluated more advantageous in terms of money. The MOD compared the package of 14 F-16 Block 70/72 fighter jets, ammunition, training for pilots and ground personnel, logistics, airfield infrastructure development, dates of deliveries, and other operational costs with the Gripen package beyond 2040. 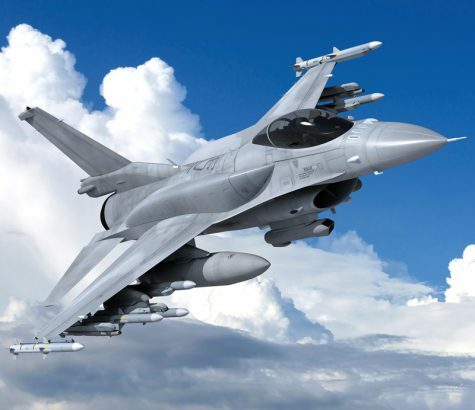 Slovakia will purchase 14 US F-16 Block 70/72 tactical fighter jets and will sign the relevant contracts with the US government, Prime Minister Peter Pellegrini (the ruling Smer party) said on July 11, after a cabinet session. He added, as quoted by the TASR newswire, that for the package of 14 US fighters, training, ammunition and logistics, Slovakia will pay €1.589 billion over the following years. The cabinet at its session accepted the proposal made by Defence Minister Peter Gajdoš (junior coalition Slovak National Party-SNS) to purchase the US F-16s rather than the Swedish JAS-39 Gripen jets, which were also on offer. The US government’s bid was evaluated as the most advantageous in terms of money and as the best solution in technical terms, according to Pellegrini. Given the over 30-year life cycle of the American fighters, the US bid is 8 percent cheaper than Sweden’s, the premier added. However, the initial investment in the US machines alone is several hundred million euros higher compared to the Swedish Gripen jets. “We have a commitment to bolster our defence spending as a NATO member up to 2 percent [of GDP],” Foreign Minister Miroslav Lajčák told TASR. “The Defence Ministry will be continuously receiving more money and that money cannot go to waste. It’s about making our armament compatible with NATO standards,” stated Lajčák, adding that the Russian jet fighters that Slovakia still uses do not fit the bill. He also noted that the decision was adopted by the cabinet unanimously. The modernisation of the armed forces is inevitable and necessary, according to President Andrej Kiska, although the procedure chosen should be transparent, his spokesman Roman Krpelan told TASR. The governmental decision to buy the US fighter jets has also been echoed at the ongoing NATO summit in Brussels, President Kiska said during the negotiations of the heads of state and prime ministers of NATO member countries on the same day. The president pointed out that he mentioned this fact during his opening speech. He added that such purchases are not exceptional from the perspective of the alliance and the surrounding countries, because larger countries push larger amounts of military equipment. Click here for the full story, on the Slovak Spectator website.